Stephanie Ortoleva is an attorney with expertise in international human rights law and U.S. civil rights law. She is a woman with a disability who served until December 2009 as an attorney and, among other responsibilities, as Disability Coordinator at the US Department of State. She now works at BlueLaw International, LLP, a leading international law firm, where she serves as the Senior Human Rights Legal Advisor. At BlueLaw, she focuses on international disability rights, women’s rights, rule of law issues, and human rights education, with concentrations on human rights programming in developing, transition and post-conflict countries. Ms. Ortoleva will be a Visiting Scholar at the University of Hawai’i in Spring 2012. She is the founder and Co-Chair of the American Society for International Law’s International Disability Rights Interest Group. At the U.S. Department of State (2004-2009), Ms. Ortoleva was responsible for taking the lead in incorporating disability rights issues into the Department’s work. She participated in the negotiations of the UN Convention on the Rights of Persons with Disabilities (CRPD), serving on the United States governmental delegation. She represented the United States at the Organization of American States (OAS) and before the Human Rights Council. For her outstanding work on human rights, including extensive work on the rights of persons with disabilities and on women, she was given the prestigious U.S. Department of State Franklin Award in 2009. Ms. Ortoleva now serves on the Board of the U.S. International Council on Disability and the Anti-Discrimination Center and is the founding Chair of the National Organization for Women’s Global Feminist Committee, leading its development of a CEDAW Ratification Tool Kit, available at www.ratifywomen.org. Additionally, she developed the website www.WomenEnabled.org to focus on intersections of gender and disability human rights issues. She is also an active member of the International Network of Women with Disabilities, serving as the facilitator of its Drafting committee and she has drafted several scholarly articles on women’s rights and disability rights. 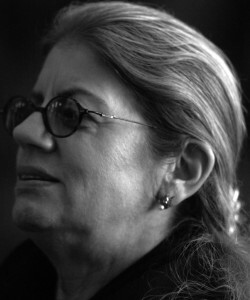 During her career in civil rights, Ms. Ortoleva served as the Supervising Attorney at the New York City Commission on Human Rights, taught a clinical program at New York University School of Law, served as the Senior Regional Civil Rights Attorney at the United States Department of Education’s Office for Civil Rights in New York City and as a law clerk for the United States Court of Appeals for the Second Circuit, among other positions. Ms. Ortoleva graduated from Hofstra University School of Law with outstanding honors, serving as an Associate Editor of the Hofstra Law Review and as a Hofstra Law Fellow and is admitted to practice in the State of New York and before the U.S. Supreme Court.